We’re having our first themed quiz for the next Trivia Night, and we have decided to do as the Romans did and go Greek! This means mythology, Greek authors, books with ‘Greek’ in their title, and bildungsromans and roman a clefs featuring Greek Life. 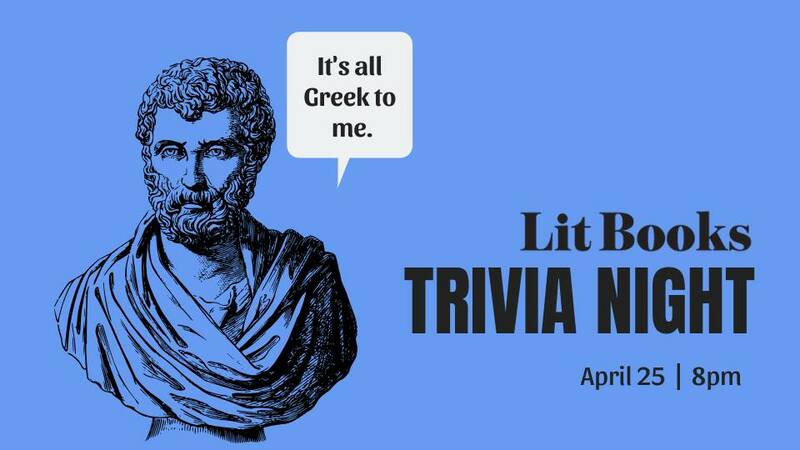 So as part of a themed night, we promise that at least three of the five rounds of quizzing will focus on Greekness and Literature. There may be more, but there can be no less. And remember what Plato said: Ignorance is the stem of all evil. • Form a team of up to four participants (give your group a snazzy name). • A games fee of RM40 per group applies. Payment required after confirmation of all 6 teams.